No one really wants to go to Trial, even your most experienced Trial Attorney does not want to go to Trial, the Judge doesn’t want to go to Trial and take up precious time in his courtroom. However, going up against the big Insurance Companies in today’s market is difficult. As a matter of fact to settle anything close to ‘FAIR’ is tough. My personal concern here is advising you to ‘Settle’ when you’re represented by an Attorney who can’t give you an option other than to ‘Settle’. Don’t try to tell me your Lawyer goes to Trial when we can prove that he/she doesn’t. Unfortunately for you that Attorney doesn’t have a track record for going to Trial. Let’s assume your case has a value of $100,000 and your Lawyer presents an offer to you of $25,000.00 thousand dollars – you’re $75,000.00 dollars apart, right away your attorney is going to be interested in settling your case because he isn’t a Trial Lawyer and doesn’t have the skill or the motivation to go to Trial on your case or anyone else’s. That’s not unusual. Some 99% of all Attorneys here in California don’t have the ability to ‘Try’ cases. Unfortunately for you the enemy is the Insurance Company that insures the Defendant. They know all about your Lawyer simply because they index all Lawyers in California and they know everything about him including how unskilled he is. Can I tell you you’re at a big disadvantage and that’s pretty scary. Don’t forget the bottom line – ‘it’s your money’. To make the decision between Settling a case and going to Trial is very complex. There are a number of facts and variables to consider for you to understand the risks and the money involved. Okay let me try to outline some of those risks, let me start off by telling you that you have to do decide whether to Settle and close the case or file a Lawsuit which requires you to know a number of things. First ‘Damages’ that includes a lot of things such as the injury itself, the cost of medical treatment, your loss of income, the costs of fixing your car and our other items that cost you money. Number two, you know your injury, did you fracture or tear anything? And you have to know the extent of your recovery, are you 100% of your old self 80% or 50% only you can answer that question. If your lawyer doesn’t spend the time to discuss these issues with you and go over your injuries, that’s the time you need to get up and walk out. How is the Insurance Company going to evaluate your case when your attorney doesn’t have a handle on its value and how serious your injuries were and their present effect on your life. Number three, what are the sources of Insurance coverage, who’s going to pay your bills and what are the policy limits of coverage. Believe me Insurance companies are not in a hurry to settle your case they’re only interested in getting rid of your case for a minimum amount of money. You only get their attention when you file a Lawsuit and they’re looking at the cost of defending the Lawsuit. The fact that they’re now having to hire an attorney to do all the work of defending your case causes them concern. Now they become anxious to see a Resolution or Settlement but not in your best interest. 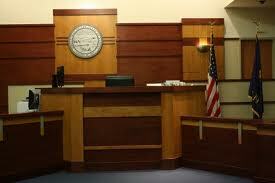 In determining the value of your case your attorney should give you some clue as to what your case might be worth. It might be worthwhile to talk to some of your friends that have had successful experiences with good attorneys. When I talk about “successful” I speak of attorneys that have recovered large amounts of money for their clients. Were not talking about the friendly and nice attorney that has children that your children love to play with, has a beautiful office and happy staff. That’s a trap, don’t be fooled. We’re talking about hard and fast Trial skills the Attorney that was able to successfully recover large amounts of money for his clients. If your attorney is the right one he or she is qualified to play with the ‘big boys’ and has the skill to handle a trial let’s take a closer look. He probably has a significant number of law clerks – like NELSON &NATALE. For example our firm has two qualified attorneys and 11 Law Clerks. We have taken on literally all Insurance companies in California as well as corporations such as General Motors, Ford, the State of California, the City of LosAngeles or even the U.S. Government. Attorney’s that don’t staff with Law Clerks or just have Assistants almost never go to court and then don’t do Trials. When you go to your Attorney’s office look at his walls, if he does Trials he will post those cases on his walls obviously proud of his courtroom successes as you yourself would be. If you see photos of his Family or his last vacation in Afghanistan, even if he was President of the Chamber ofCommerce that’s all very nice but we want to see the results of those tough courtroom battles he’s won. He or she will be advertising those skills. If you don’t see those ‘badges of war’ you’ve got your answer and you obviously have a problem. Check on our blog called “Basics of Hiring an Attorney” for further reference.